Intel has detailed plans to include Powerline networking in Viiv PCs from next year. It's one of the more surprising admissions to come out at the Beijing Intel Developer Forum so far and, you might say, an admission that 802.11n wireless isn't going to have everything its own way. In case you don't know, Powerline uses the electrical cabling in your home to transmit network signals. It doesn't disrupt your power supply and, while transmission speeds depend on the quality of your home cabling, it's more than most internet connections can handle. The fastest Powerline connections can even handle HD - with cited speeds of up to 200Mbit/s. It's this HomePlug AV Standard that will be incorporated into new desktops. Traditional Powerline needs adapters as a go-between for the power and an Ethernet connection. But presumably the new inclusion would enable you to cut out the adapters needed for Powerline - and the computer would basically network itself using the power cord and secure the network using settings you specify in the Viiv software. Wow. What is clear is that the technology won't be provided as standard - it'll be an OEM manufacturing option in the new re-chew of Intel's Viiv platform codenamed Salt Creek. That'll follow Intel's new Bearlake line of desktop chipsets due over the next few months. Intel seemed to lose interest in Powerline when it dropped out of the HomePlug Powerline Alliance - the industry body behind the tech - back in 2000. Wireless tech was the new cool and Intel put, and still puts, heavy sway in cord-free technology. 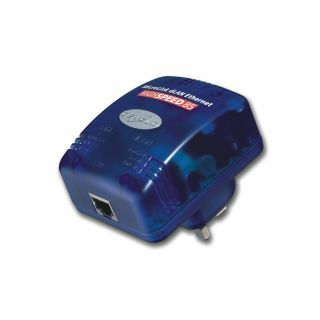 But the corporation later rejoined the Alliance in 2005 as it became clear that wireless was not the solution for every home - or bandwidth need.